(Bathurst, NB - February 9, 2011) - A Bathurst mother whose son was killed three years ago in a 15 passenger van collision says a tragic accident yesterday in Quebec proves that 12 and 15 passenger vans are "death traps" that are unfit for human transportation. 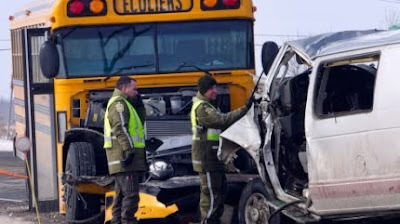 Five young workers on their way home from a night shift were killed when their 12 passenger Ford Econoline extended cab van collided head on with a yellow school bus in Berthierville near Montreal. Three others are in critical condition. 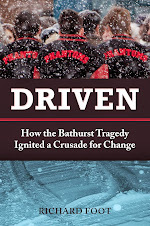 "Their fate was sealed the minute those farm workers climbed into that van yesterday morning," says Isabelle Hains, whose 17 year old son Daniel was one of seven Bathurst High School basketball players who died in a horrific crash outside of Bathurst, New Brunswick in January 2008. Hains believes that if the victims had known about the dangers of passenger vans they would never have agreed to ride in the vehicle. She compares it to a similar accident which claimed the lives of three farm workers in Abbotsford, British Columbia in March 2007. She asks, "How many more people have to die before the federal and provincial governments outlaw these vans for human transportation?" Bill C-522, a Private Members Bill introduced in the House of Commons last May by NDP MP Yvon Godin (Acadie-Bathurst), calls for the complete banning of 15 passenger vans for student use across Canada. Its fate is up in the air while Transport Canada conducts a safety review of 15 passenger vans, expected to be released in April. Hains says the lack of serious injuries among the 13 high school students in the yellow school bus that was involved in the Quebec accident is further proof that the large, safety engineered yellow buses are the only way to safely transport school children. Hains says yellow school buses and Canadian Standards Approved Multi Function Activity Buses (MFABs) have a number of safety features that are absent in 15 passenger vans. "I hope this tragedy in Quebec sends a strong message to school administrators across Canada that only yellow school buses and the smaller "mini-buses" (called MFABs) are built with child protection and safety engineering features in mind." Yellow school buses have steel reinforced beams that act like a cage to protect occupants from intrusions. They also have window and rear door exits as well as laminated windows that reduce the possibility of ejections from the bus. "From the reports I have read, the children in the bus were bounced around, but they are alive and that's what matters. If these children had been in a 15 passenger van, the headlines would be very different today," said Hains. Hains says the professionalism, experience and skills of yellow school bus drivers should have every parent demanding that their children be driven by licensed, school bus drivers only. 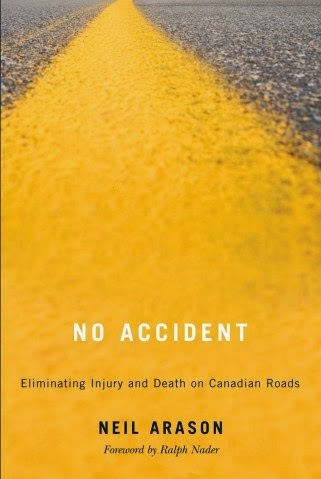 "Parents have to demand that their governments transport children in the safest vehicles and when it comes to safety, nothing beats yellow school buses driven by professionals." A 15 passenger van safety review that was announced last summer is expected to wrap up in April. Hains is looking forward to seeing the scientific results of a crashworthiness test that Transport Minister Chuck Strahl promised as part of the review. Recent information from Transport Canada indicates that the crashworthiness tests will take place before the end of March. Hains has asked to be present for the testing.